Here a few pics of Zolzite that I just took. I wanted to play with his beautiful eyes. I wanted some like these one for him for so long. I know they are easy to find but I never took the time to order some for him ^^' Now he needs shoes !!! It will be nearly a year since I have him and he is still bare foot. And a new wig ,this one is beautiful but it makes him a big head and it is a part of a girl wigs (it has two tails that I took off). Maybe a brown one ... I do not really know. I do not know if I will keep him though. I like him but well ... maybe I get tired of him. 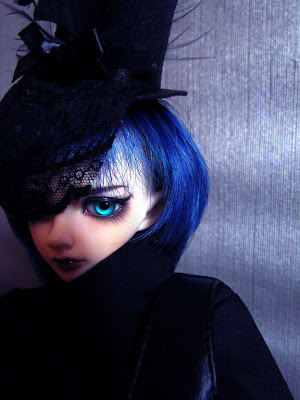 I want something else with my BJD now. 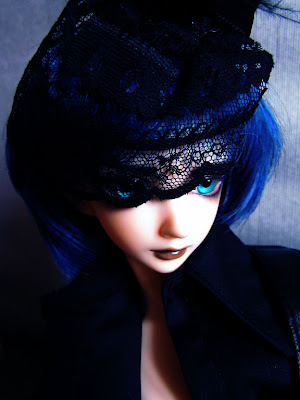 And I have almost 2 BJD projects him mind.